I loved featherdale! Great experience! Highly recommended! The price at entry was the same as the price on viator though, so it wasn't really necessary to use this app for entry for a regular ticket. Feeding the native animals were fun! And especially the photo op with the koala! This was one of my favorite stops. The animals are all very close. While I found some of the enclosures small for the animals they were holding I did notice the animals were very well cared for. Nothing like walking up to a kangaroo sunning itself and being able to walk up and pet it like you would a dog or a cat. 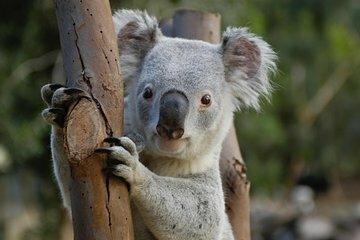 I love all the koalas, they are just everywhere. I would love to go back! We loved the hands-on approach to meeting the wildlife! The kangaroo feeding was a highlight and photos with the koalas were a must if it's your first trip to Australia!